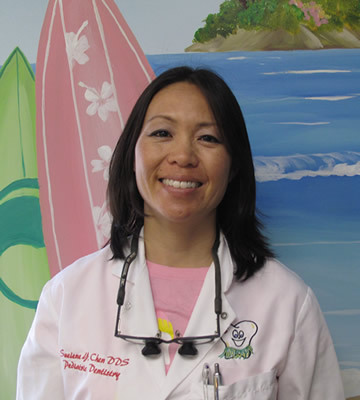 Dr. Suelene Chen graduated from Loma Linda University in 1995. She spent many years in community outreach treating children from low income families and later completed her formal education in pediatric dentistry in 2005. An advocate for children's health, she devotes her time outside of her practice to the underserved in rural areas in California and coaching soccer in hometown Huntington Beach with AYSO. A native of Huntington Beach, Edison High School (Class of 1988), Dr. Suelene enjoys snow skiing, playing soccer, and traveling when she is not in practice. Dr. Tom Chen, her father, is a general dentist. Her mom, Mrs. Intera Chen taught 6th grade for over 30 years for Sowers Middle School. Dr. Robin Arita grew up in our neighboring cities in North. Like all Northern Californians longing for our fantastic Socal weather, Dr. Arita attended UCLA as an undergraduate and returned to complete her dental school training at the University of California San Francisco School of Dentistry in 2005. She was a dedicated professional working for a number of years with our military at the Veterans Hospital, Palo Alto. 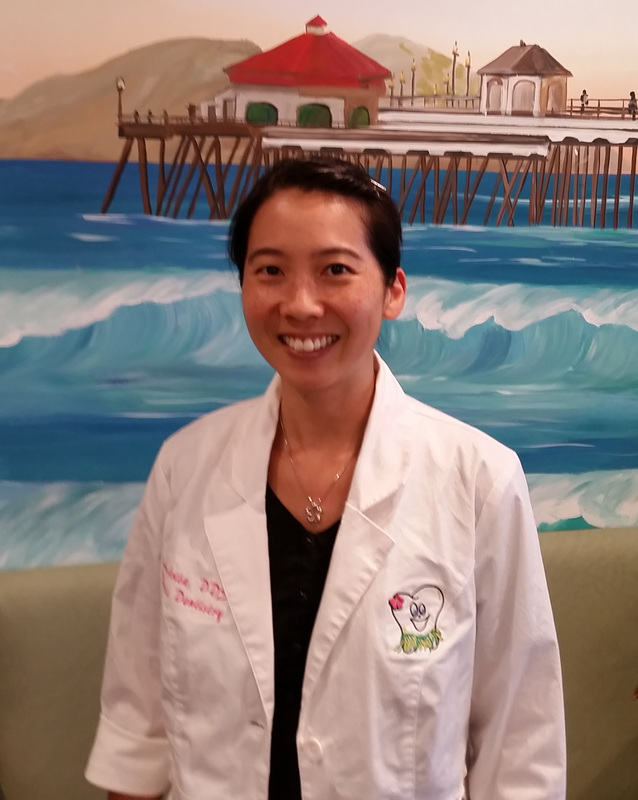 Passionate about children, Dr. Arita returned to her specialty training in pediatrics, graduating from the USC Ostrow School of Dentistry. She is an American Pediatric Dental Board Certified Specialist. Dr. Arita has been practicing in community outreach, clinics and private practice in both Orange County and in the Bay area for a number of years before settling here in Huntington Beach! Her husband, Dr. Braga, is also a dental specialist practicing in Huntington Beach and together with their son, they enjoy traveling and spending time at the beach. Look for them on the weekends at the HB pier or downtown on Main Street! Dr. Susan Do grew up just to our North in the infamous technology hub, the Silicon Valley. She received her Bachelor of Science degree in Microbial Biology from UC Berkeley and went on to obtain her D.D.S. degree from the University of the Pacific School of Dentistry in San Francisco, where she graduated with high honors and was elected to join the Tau Kappa Omega Dental Honor Society. She then moved to the East Coast to complete her Pediatric specialty training at Rutgers School of Dental Medicine where she served as the Chief Resident. As a Board Certified Pediatric Dentist, Dr. Do believes in early intervention and strives to create an atmosphere that is both fun and nurturing for her patients. She aims to create positive lifelong experiences and hopes her love for dentistry is equally infectious with her patients. Outside of dentistry, Dr. Do enjoys a very active lifestyle that includes traveling, cooking, fitness, golf, and martial arts. She is a devoted sports fan, particularly when it comes to the SF Giants, Golden State Warriors, and Green Bay Packers. An avid dog lover, expect to see Dr. Do and her husband walking their two pups along the coast.